Pyrex became a reality when Bessie Littleton, wife of Corning Glass Works physicist Jesse Littleton, baked a sponge cake in a sawed-off battery jar made of Pyrex and proved glass could be used in the oven. From product testing to design to marketing, women were involved in Pyrex every step of its journey to the kitchens of America. 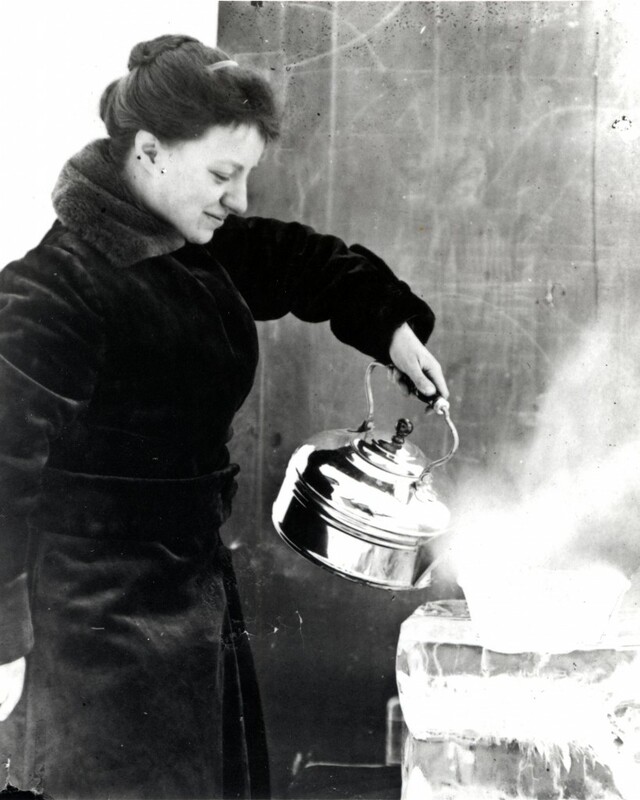 Evelyn Roberts was young laboratory physicist employed at Corning Glass Works. In 1917, Roberts was photographed atop the roof of Corning Glass Work’s Mixing Building 38, pouring a kettle of boiling water over a Pyrex dish caked in ice to demonstrate its thermal endurance. The image of that ice-encrusted glass withstanding boiling water appeared in many early Pyrex ads. 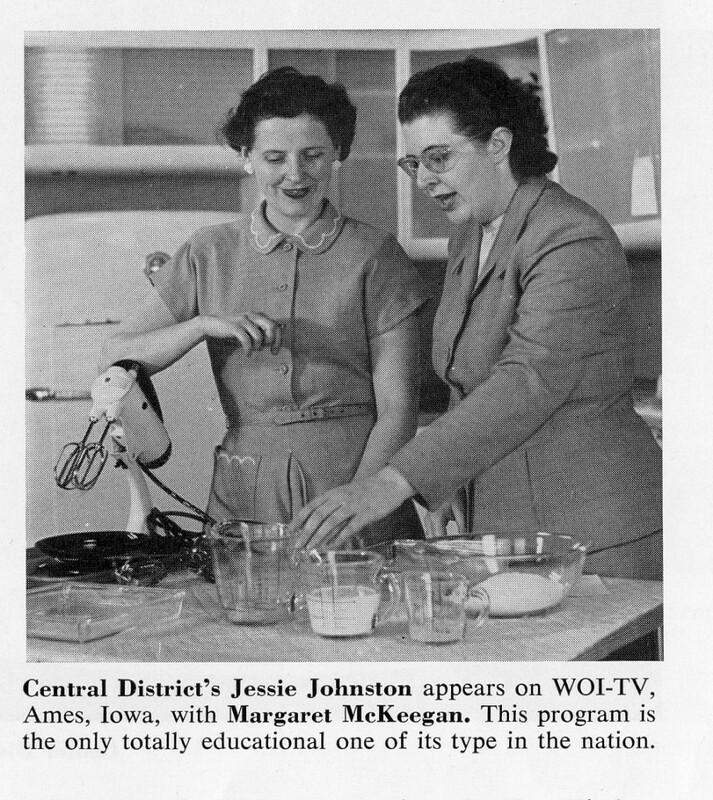 Before Pyrex was even on the market, Corning Glass Works took prototypes to Mildred Maddocks and Sarah Tyson Rorer, household names to the millions of women who read Ladies’ Home Journal and Good Housekeeping. Endorsements from Rorer and Maddocks, printed in ads and magazine columns persuaded many Americans to give Pyrex a try. In 1929, home economist Dr. Lucy Maltby was hired by Corning Glass Works to oversee consumer relations. Listening to consumers, Maltby and her colleagues began to evaluate Pyrex using the test kitchen Maltby founded. Under Maltby’s direction staff rigorously tested Pyrex, then suggested design changes based on the results. The Pyrex cake pan is one example. After Maltby’s staff suggested adding handles and changing the size and shape to suit modern cooks’ needs, sales of the new cake pan increased 1,000 %.